Located next to Dubai World Trade Centre, the luxurious Rove Trade Centre offers easy access to both new and old Dubai. 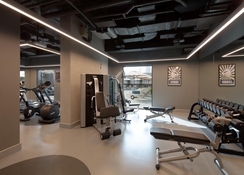 Contemporary and spacious air conditioned rooms, with inter connecting family rooms featuring modern amenities, a large swimming pool and well-equipped 24x7 fitness centre invite guests travelling for leisure and business to have a memorable stay in Dubai. The property is close to all Dubai attractions including the City Walk, The Dubai Mall and Burj Khalifa a short hop away. Free shuttles are available to leading malls. There are meeting rooms with a variety of flexible seating arrangements to meet business standards. The Trade Centre is a great shopping and dining destination with many boutique shops and restaurants. Located next to Dubai World Trade Centre, the luxurious Rove Trade Centre is close to all Dubai attractions including the City Walk, The Dubai Mall and Burj Khalifa a short hop away. Free shuttles are available to leading malls. Proximity to metro centre offers good connectivity to the city. The hotel is 8km away from the Dubai International Airport. The Rove Trade Centre offers 270 spacious guestrooms, with free Wi-Fi and furnished with flat-screen satellite TV with tea/coffee makers and other amenities. Every floor has a free ice machine. Fuss-free service with warm hospitality is the hallmark of Rove Trade Centre. The Rove Trade Centre is a gastronome’s delight with all dining at its lovely restaurant. 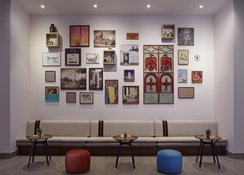 The Daily offers quick meals, mouth-watering ala carte, drinks and beverages plus a place to socialise and work. The all-day menu caters to Arabic, Southeast Asian, Western and Indian. On the terrace, Laid-back Rovers offers hot meals and tasty light bites. 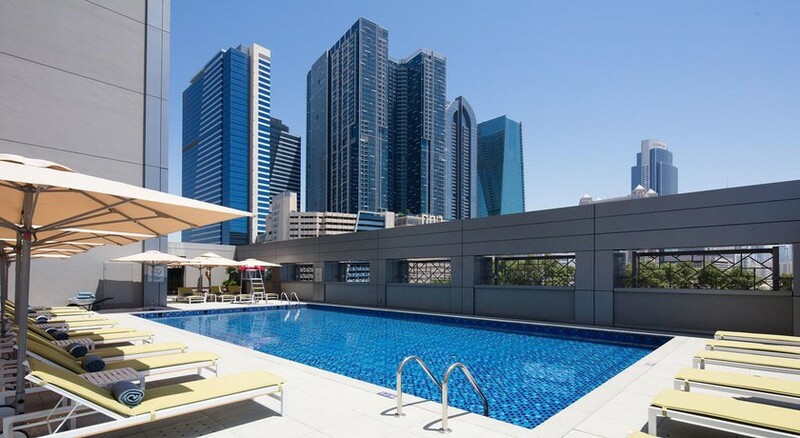 The Rove Trade Centre has a sparkling outdoor pool with sundecks for guests to rest and relax. The lobby lounge provides opportunity to indulge in games, fitness freaks may head to the 24-hour gym. The neighbourhood is full of malls, shopping and entertainment options.